The 1948 World Series, which the Braves lost in six games to the Indians, turned out to be the Braves’ last hurrah in Boston. Amid four mediocre seasons, attendance steadily dwindled until, on March 13, 1953, Perini, who had recently bought out his original partners, announced he was moving the team to Milwaukee, where the Braves had their top farm club, the Brewers. Milwaukee had long been a possible target for relocation. The 1957 World Series featured the defending champions, the New York Yankees (American League), playing against the Milwaukee Braves (National League). After finishing just one game behind the N.L. Champion Brooklyn Dodgers in 1956, the Braves came back in 1957 to win their first pennant since moving from Boston in 1953. The Braves won the Series in seven games, behind Lew Burdette’s three complete game victories, and became the first team to win a championship after relocating. 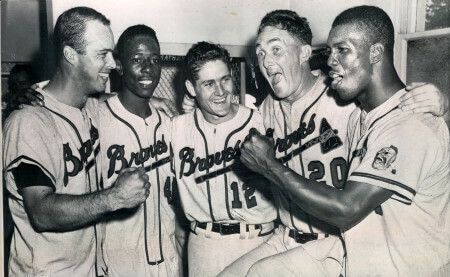 Then, in 1953, the team moved to Milwaukee, Wisconsin and became the Milwaukee Braves, followed by the final move to Atlanta in 1966. Braves – The “Braves” name originated back in Boston in 1912. 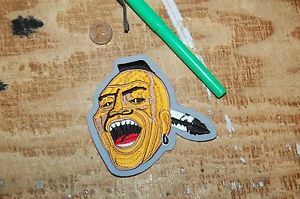 See the Boston Braves for the origin of the nickname. 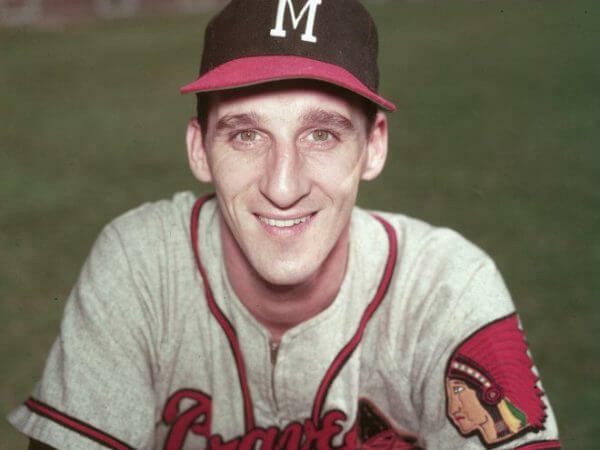 Who is the greatest Milwaukee Braves? In 1953, the team moved to Milwaukee, Wisconsin and became the Milwaukee Braves.